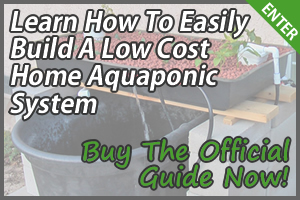 Everyone makes mistakes, and if you’re a beginner to aquaponics, then chances are that you’ll stumble across some of the more common problems with aquaponics. Making a mistake in your aquaponics system can mean losing the plants and fish that you’ve nurtured for weeks, which is a disappointing feeling for anyone. 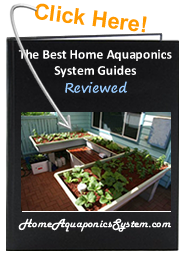 Learn about the 5 most common problems with aquaponics to avoid making the mistakes as other people. 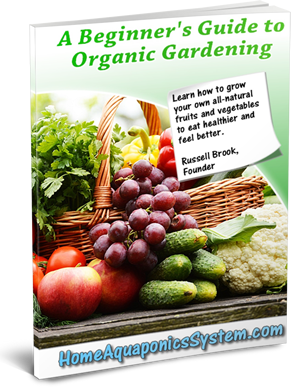 One of the most common issues aquaponic gardeners have with their plants is the existence of harmful bugs which eat away at the plants. When you spot these critters, it’s best to take care of them before they spread and grow in numbers. Feed Them To The Fish – You can turn a problem into a benefit by setting up bug traps and catch slugs, caterpillars and other insect larvae to feed to your fishes. They will enjoy the meal and it’ll also save you a bit of money on fish food! Knock Off With Water Spray – You can control a large infestation of bugs by spraying a stream of water at them. Also, adding organic solution to the spray can help to repel insects as they’ll become less attracted to the plants. Setting Predators – Beetles, flies, spiders and wasps are predators to bugs that harm your plants such as aphids. A common predator used for pest control is the ladybird which feeds on aphids. 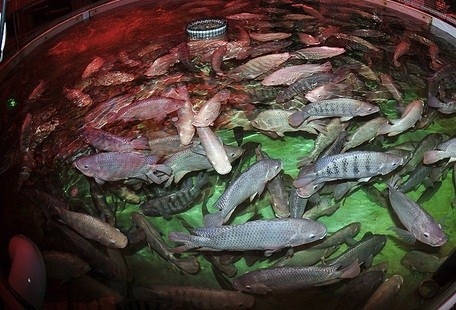 Certain aquaponic fish species can handle tropical temperatures while others cannot. It’s important to know the ideal temperatures for the type of fish you’re raising. The most popular fish for aquaponic gardeners is the tilapia, which can handle very warm waters, but if waters get too hot especially when exposed to the sun during hot climates, there will be a lack of oxygen for the fishes. The bigger fish may feed on the smaller fish. Too much fish waste for the biofilter to effectively convert. The general rule of thumb for a media-based home aquaponics system is one fish for every 20 litres of water. Though professionally monitored commercial systems may stock more densely, beginners should stick to this rule. Ammonia is produced by the fishes respiratory system and is discharged through their gills. Ammonia is very toxic to fish and a build-up of it in the fish tank will eventually kill them (dead fish will also produce ammonia). Because of this, the ammonia contained in the water in the fish tank must be diluted, removed or converted. To find out the concentrations of ammonia within the fish tank, the water must be tested at least once a week using test kits. 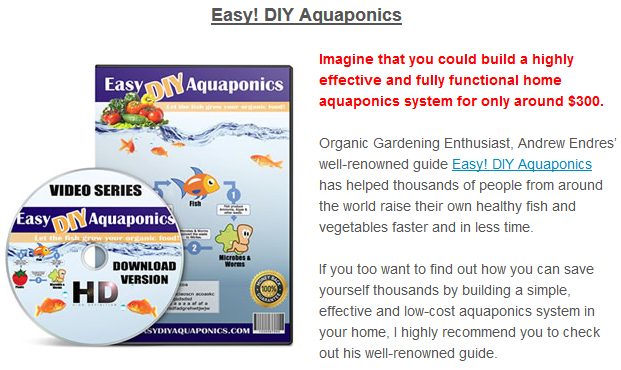 This is something that even experienced aquaponic gardeners have done, and it can cause many problems. Although setting up your aquaponics grow bed directly above the fish tank will save space, it will also restrict access to the fish tanks. Restricted locations for fish tank and other plumbing components. Difficult to see what’s happening in the far corners of the fish tank. Difficult to remove and change waters if and when necessary. Difficult to catch fishes, especially if they move around the tank quickly. 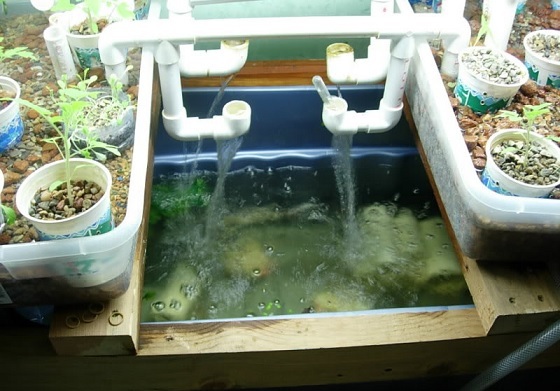 Think and plan carefully on how you’re going to build your aquaponics system and make sure that everything is easily accessible to make a more efficient running system.